It seems like not too long ago, velvet was all we could think about, and this fall, the trend will be at the forefront of our minds once again. Designers like Gucci and Max Mara churned out velvet suits, dresses, and the like on the F/W 17 runways, but if we had to guess, velvet boots are going to be the star of the show come the beginning of fall. Retailers are already stocking their shelves with velvet boots of all kinds, but there was one color that stood out among the rest: navy blue. Stuart Weitzman just came out with a striking yet totally wearable velvet ankle boot that is sure to be on the feet of bloggers and fashion It girls in no time. Due to this particular pair's versatility, forward fraying, and all-together Instagrammable qualities, these booties truly are destined for fame. Don't like them as much as we thought you would? 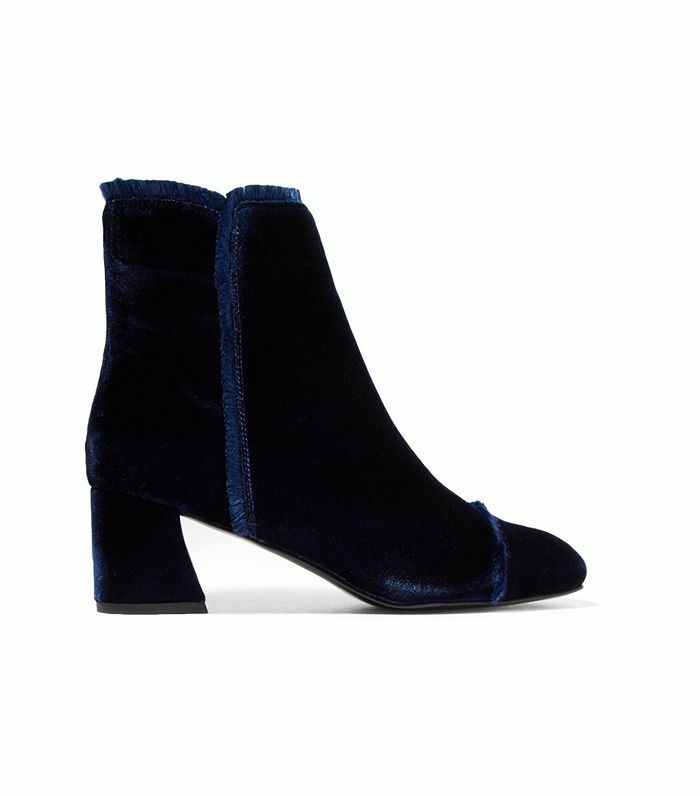 Fear not, for we shopped out a handful of other navy velvet ankle boots for your viewing pleasure. But when these boots blow up in the next three months, don't say we didn't tell you so. Go on to shop the Stuart Weitzman boots you're about to see everywhere this fall, in addition to a handful of similar styles. Curious which jeans French girls will never wear? The answer is just a click away.